APSS shout out to #APSSFamily Vermilion Police Dispatcher Kate Kopriva for her quick action, forward thinking, calm voice, and being an integral part in saving teen girls life. Read about Kate and her life saving actions as a 911 telecommunicator here in the Chronicle Telegram. Everyday across the world 911 dispatchers answer the call providing assistance to callers on their worst day. 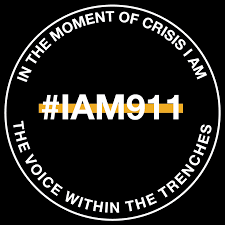 On the eve of #IAM911 day and 2nd anniversary of the movement, we are so thankful to be a part of the 911 community and understand the importance of acknowledging the profession of the 911 telecommunicator. These 911 telecommunicators work hard everyday dealing with your worst day. Take a moment to thank these humans who find it within themselves to deal with your worst moment and be the calming voice, acting quickly to mitigate your situation and provide assistance.